93 years of age, of Amherst, passed away peacefully at the Cumberland Regional Health Care Centre on December 30, 2018. Born in Fenwick, she was a daughter of the late Percy & Evelyn (Bulmer) Ripley. In her younger years, Pauline worked at Barkers. Pauline worked at Bird's Drapery Ltd and later Dalphen Ltd and Sally Shop. 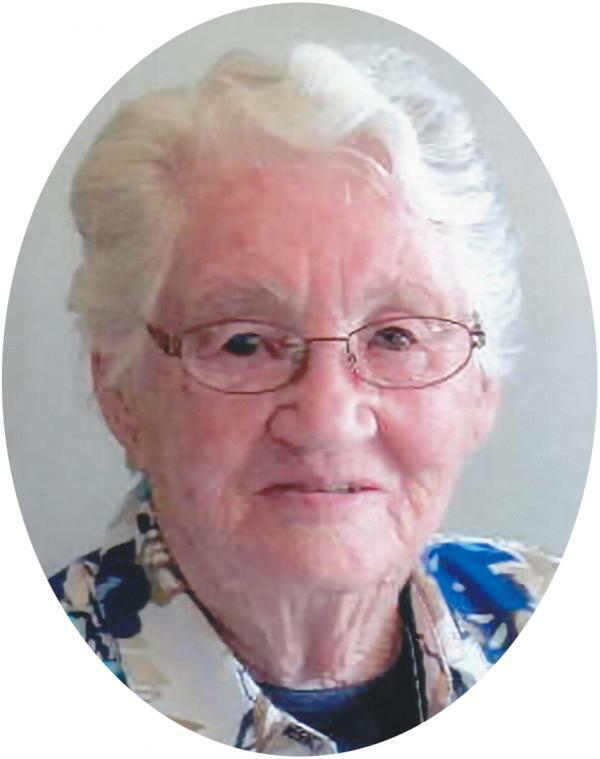 She was a member and Elder of the Fenwick United church and was active in the UCW. Pauline was a member and past Noble Grand of the Miriam Rebekah Lodge #36 and past president of the Rebekah Association #11C. She enjoyed knitting and making quilts. Pauline enjoyed going for car drives. Pauline is survived by daughters, Dorothy Archibald (Bob) of Fenwick, Althea Forsythe (Richard) of Truro, NS, Catherine Raper (Kenneth) of Springhill, Vivian Wray of Hamilton, ON, Barbara Estabrooks of Amherst. ; sons, Douglas Read (of Amherst, Edwin Davis (Gwen) of Ontario; brother Donald (Mary)of Fenwick; sister, Phyllis Lowe (Art) of Picton, Ontario; sister-in-law, Carol Ripley of Oshawa Ontario; many grandchildren, numerous great grandchildren and great great grandchildren. Besides her parents, she was predeceased by her husband, Carl Read, daughter, Elaine Bird, Iona Darragh, Shirley Allen, son, Garnet, brothers Walter, Robert, sisters Helen Bacon and Olive Porter. Arrangements are under the care and direction of Furlong-Jones Funeral Home, 70 Church St., Amherst, NS (902-667-8777). A celebration of Pauline's life will be held on Thursday, January 3, 2019 at 2 p.m. Burial will take place in the Fenwick Cemetery at a later date. Family flowers only. Should friends desire, memorial contributions may be made to the Fenwick Cemetery. Sharing of memories and condolences may be sent to the family by visiting Pauline's online memorial at www.furlongjones.ca or through the Furlong Jones Funeral Home Facebook Page.